How has anxiety affected some of your athletic performances? Chances are that anxiety prior to an athletic performance caused you to play far below your ability. 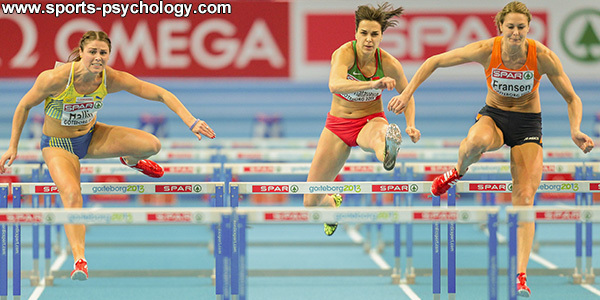 The main reason for anxiety prior to a competition is uncertainty. Uncertainty can cause some athletes to mentally envision potential mistakes or fear the worst prior to a competition, which leads to tension and a lack of trust in your skills. While other athletes become anxious because they have no idea what to expect in the upcoming competition. Seeing the worst and fearing the worst become negative images that will ruin your performance every time. What is the answer to combat uncertainty? The answer to dealing with uncertainty is to experience the event before the event even happens. That’s where visualization comes into play. Visualization helps you be mentally ready for the event so you feel you have “been there before”. If you have already experienced the event in your mind and visualized yourself succeeding, the upcoming event becomes known. That is, experiencing an athletic event in your mind through visualization reduces the anxiety that comes from uncertainty. Seeing yourself fail has the opposite affect. All the unknowns make the first few days of school nerve-wracking but after a few days, when you settle in, it feels more comfortable. Most of the uncertainty washes away and you are ready to get going with the year. Juliet Arnswold, a track and field athlete who specializes in the hurdles, has utilized visualization to help her mentally prepare prior to a competition. Arnswold uses visualization as a regular part of her pre-meet routine starting days prior to the event. Arnswold visualizes herself arriving at the meet, running through her warm-up and then visualizes her entire race, from start to finish including the time she had hoped to attain. Images can make or break a performance. Instead of leaving competition to chance, visualization can help prepare you for success. Think of the details. Rehearse your pre-competition meal. 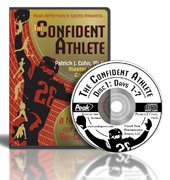 See yourself arriving to the competition site and getting ready in the locker room feeling relaxed and confident. Image your pre-competition routine and your warm-up feeling excited and ready to perform with confidence and trust. See yourself performing successfully and immerse yourself in the images of the competition. Vividly experience the sights, sounds, smells, tastes, movement, confident thoughts and positive emotions of your performance. When it’s time to compete, don’t expect your performance to be perfect like you experienced in your rehearsal. Accept that stuff happens and you have to adjust. As Ken Ravizza said many times, it’s not always about playing in the zone. As an athlete, “you have to be comfortable feeling uncomfortable. Do you get so tight or tense before competition that you cant think straight or have freedom of movement? Do you become too tight to perform your best because you worry about embarrassing yourself or making mistakes in the game? Do you have a physical warm up routine you follow, but do not pay attention to your mental preparation before competition? Many athletes experience feelings of pregame anxiety and tension. Pregame anxiety is the number one obstacle to a relaxed and effortless performance – a quality that you must have to enter the zone! How relaxed would you perform if you could overcome pregame anxiety and mentally prepare for competition consistently? Check out The Relaxed Athlete! 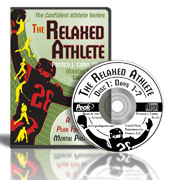 You’ll learn powerful pre-competition mental game strategies pro athletes use to stay calm, focused and perform with poise.